K: Indeed. And of course one of the issues addressed by both those projects is how to resist being swept up in the flow of time, to resist the inevitable militarization. That’s why when I’m asked whether my way of making films has changed since 3.11, I have to say that fundamentally it has not. My films have always aimed to provide the viewer with a full understanding of historical context, and his or her place within it. It’s only by means of such an understanding that we can solve problems. That’s why I think filmmaking is crucial. H: Still, a scholar like Mr. Yamashita — surely he knows what he’s doing when he manufactures and disseminates supporting evidence for the safety myth? Don’t you think he’s aware that he is concealing the truth? Of course the people who wanted to produce this sort of alternative media had only rudimentary skills – many had never picked up a camera before. What they did have was vision and conviction. “This is what we want!” “This is what we need!” In contrast, I had skills. I began to wonder what would happen if I used them for someone else — for their cause rather than mine. This was a real stroke of luck for me. H: When we think about nuclear energy policy it’s really this part that feels most violent. All at once the logic of the state and the logic of capital arrive on the scene and people are robbed of their communities, their land, their way of life: everything is gutted. Meanwhile local people are bought off. “What’s to complain about? Haven’t you got more money now than you’ve ever seen in your lives?” But what it means to live, to experience life’s happiness, is not a matter of purchasing power or consumer confidence. With the influx of cash comes the gradual destruction of the quality of food, water and air — of the condition of not having to worry about their safety — and also the pleasure of work, the pleasure of encountering nature. These are lost together with the community. Your films make us feel this especially keenly; they make us feel your conviction that democracy is fundamentally a matter of building community in the place where you live, by your own will and determination, according to your own vision. One advantage of diverse and active civic groups is the accumulation of knowledge and experience around collective action. People know how to work together toward a single goal even with those with whom they disagree. In Fukushima it seems this was lacking. And while there were any number of complicated contributing factors — historical, political, social and economic – those same factors were what predisposed Fukushima to its dependence on nuclear policies in the first place. So while we saw many civic groups take shape after 3.11, we also saw them quickly splinter and dissolve. It was the same kind of splintering and dissolution as when the plants were constructed. Buying up farmers’ land to build the reactors, the government and TEPCO used money to eradicate their way of life. The community was splintered into supporting and opposing factions, and only after these factions had been set to battling each other did the authorities make their move. It’s what’s called “nipping solidarity in the bud.” It’s a method of dismantling solidarity, whether solidarity exists from the start or arises in opposition to nuclear construction. We saw it in Rokkasho. We saw it in Iwaishima. We saw it in Fukushima. 1This is Kamanaka Hitomi’s third co-authored piece for Asia Pacific Journal: Japan Focus. She discusses her 2006 film Rokkasho Rhapsody in Kamanaka Hitomi, Tsuchimoto Noriaki and Norma Field, “Rokkasho, Minamata and Japan’s Future: Capturing Humanity on Film,” trans. Ann Saphir, The Asia-Pacific Journal Vol 5, Issue 2 Dec 1, 2007. She discusses her 2011 film Ashes to Honey: Toward a Sustainable Future in Kamanaka Hitomi and Norma Field, “Complicity and Victimization: Director Kamanaka Hitomi’s Nuclear Warnings,” The Asia-Pacific Journal, Vol 9, Issue 18 No 4, May 2, 2011. 2The Chugoku Electric Power Company is one of ten government-regulated electric companies supplying power over two separate grids. 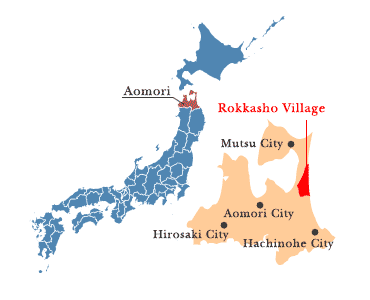 Three companies cover the Eastern Japan grid (Hokkaido Denryoku, Tohoku Denryoku, Tokyo Denryoku (TEPCO), and seven cover Western Japan (Hokuriku, Chubu, Kansai, Chugoku, Shikoku, Kyushu and Okinawa Denryoku). 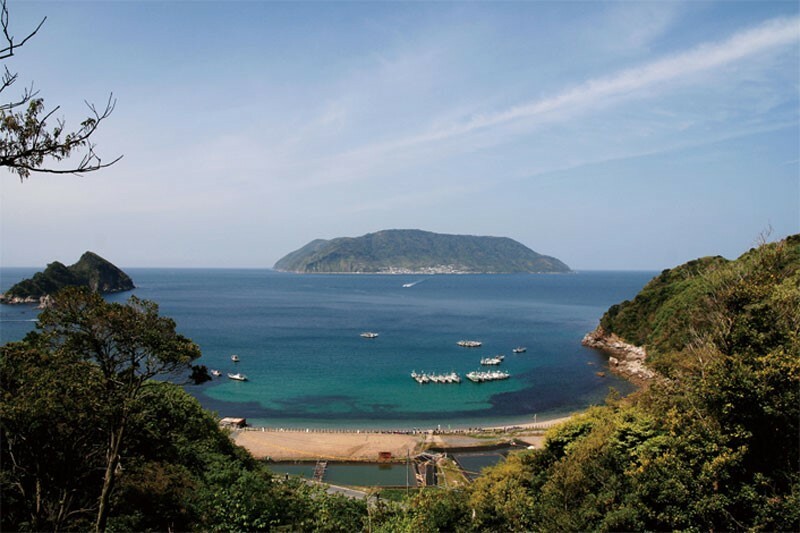 In 2008 Chugoku Electric was granted a license to begin landfill in the Seto Inland Sea to build two reactors at a new Kaminoseki Plant. It made slow progress amidst the active local protests Kamanaka documents in Ashes to Honey. Operations were suspended in 2011 after Fukushima but in 2016 Yamaguchi Prefecture renewed its landfill license citing national energy policy. 4In 2004, in response to legislation that allowed the LDP to override opposition and send Japanese Self Defense Forces to fight in Iraq without a UN Mandate, a group called Ribbon Project collaborated with the publisher Magazine House to produce a bilingual children’s book titled The Way War Is Created (in Japanese) and What Happens Before War (in English). In 2015 an animated version was produced by a group of filmmakers and artists concerned that 3.11 and the Fukushima nuclear accident were also being used as a pretext for militarization. Kamanaka sells the dvd for educational use on her web shop and it is also widely available online. 5This interview originally took place in October and December 2015. Here Kamanaka references the Paris terror attacks of 13 November 2015. The figure “600,000” corresponds to the World Health Organization’s estimate for the number of children under fifteen who died during seven years of the Iraq War. 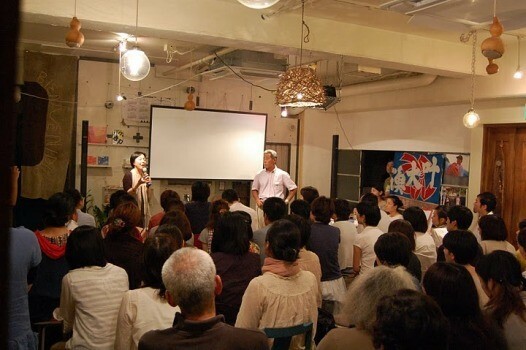 Kamanaka discusses this figure in the first chapter of her book Hibakusha: Dokyumentarii eiga no genba kara [Hibakusha: From Ground Zero of Documentary Filmmaking] (Tokyo: Kageshobō, 2006), 23. 6The nuclear businesses of the American conglomerate Westinghouse were sold to British Nuclear Fuels Limited (BNFL) in 1999 after Westinghouse purchased the communications company CBS in 1995, renamed itself CBS, and divested from non-broadcast operations. BNFL sold a 77% share in Westinghouse to Toshiba for $5.4B in 2006 at a time when the global market for nuclear power was expected to grow in China, India, the UAE and Eastern Europe. In late 2015 when Hirano interviewed Kamanaka, Toshiba had already weathered an accounting scandal centered in part on its failure to disclose Westinghouse losses. But it had yet to suffer the full impact Kamanaka predicts, which the Financial Times would call in February 2017 the “Downfall of Toshiba, a Nuclear Industry Titan”. In early January 2018, Toshiba sold Westinghouse to the Canadian company Brookfield for $4.6B. 7The Olkiluoto Nuclear Power Plant in Finland had two reactors built in the 1970s and in 2005 commissioned Areva to build a third. Originally scheduled to be completed in 2010, the project has gone 200% over budget and is still not finished. 8Wikipedia’s English entry on Yamashita is incomplete but indicates the controversy that surrounds him. He served as chair of the Japan Thyroid Association after co-authoring several Chernobyl papers under the auspices of the Sasakawa Foundation and in collaboration with the World Health Organization. The Sasakawa Foundation was funded by Sasakawa Ryōichi (1889-1995), a controversial right-wing figure who made money in China and Manchuria during the Fifteen Years’ War and through a gambling empire in post-war Japan. 9Kamanaka is quoting a line from Yamashita’s 3 May 2011 public meeting in Nihonmatsu, Fukushima, in which he defends the claim that exposures of up to 100 millisieverts per year are safe. One of the people who asks him a question is Jodo Shinshu priest Sasaki Michinori, who appears in both of Kamanaka’s post 3.11 documentaries. A transcript and video of the 70-minute meeting is available from ourplanet-tv.org. 10An important exception to the tendency for perpetrators of nuclear disasters to go legally unpunished is the mandatory indictment (kyōsei kiso) seeking criminal penalties (keijibatsu) for three TEPCO executives currently making its way through Tokyo District Court. See here. 13In 1995 the Monju “fast breeder” nuclear plant in Fukui Prefecture suffered a sodium leak and explosion that was subsequently covered up. The close of the plant was announced in September 2016. 14The series ran from October 2011 to March 2016 and has since been edited into nine total volumes by Gakken Publishing. 15Weapons enhanced with depleted uranium (DU) were used by the US military for the first time in the Persian Gulf War in 1991 to penetrate Iraqi tanks. They were subsequently used in Bosnia, Kosovo, Afghanistan and Iraq again in the Iraq War of 2003-2011. Widely reported health consequences led to requests for a global moratorium on their use. 16“Nuclear fuel cycle” (kakunenryō saikuru), refers to the multi-stage process by which uranium is mined, enriched and burned in a standard reactor, then either stored as spent fuel (nuclear waste) or reprocessed into mixed-oxide (MOX) fuel for use in a “fast-breeder” reactor. 17Kamanaka gathered what she learned into a book co-authored with Dr. Hida Shuntarō. See Naibu hibaku no kyōi: genbaku kara rekka urandan made [The threat of internal radiation: From nuclear bombs to depleted uranium bullets] (Tokyo: Chikuma shobō, 2005). 18Hida Shuntarō (1917-2017) survived the atomic bombing in Hiroshima and devoted his life to caring for victims of radiation exposure. 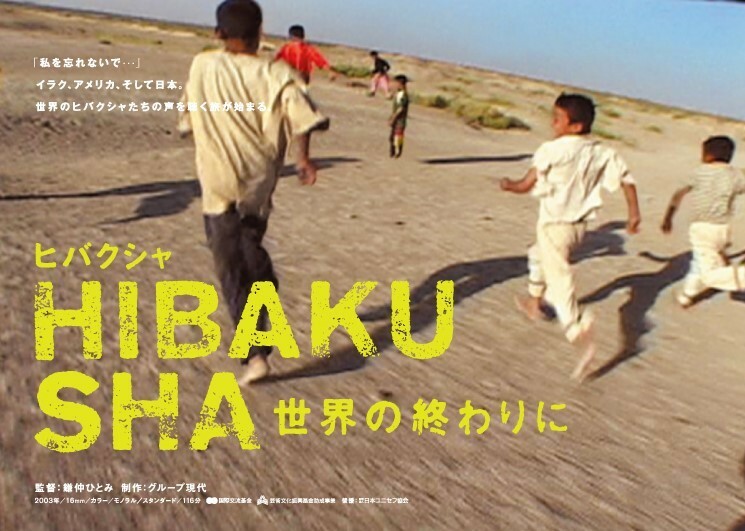 He became a mentor of Kamanaka after her return from Iraq; she describes the process in the first chapter of Hibakusha: Dokyumentarii eiga no genba kara. Dr. Hida plays major onscreen roles in her films Hibakusha at the End of the World (2003) and Living Through Internal Radiation (2012). 19Dr. Jawad Al-Ali of the Sadr Teaching Hospital in Basrah is quoted widely in global media accounts of cancers caused by depleted uranium in Iraq. See for instance here. 20Founded by media activist Dee Dee Hallock in New York City in 1981, Paper Tiger Television continues to pioneer alternative community media and curate an extensive archive of independent and DIY programming. 21See Katsuya Hirano’s interview with Koide. 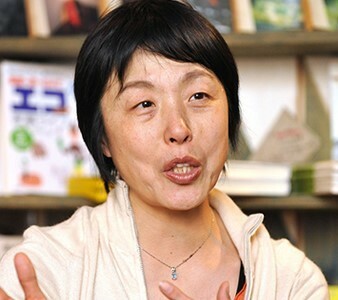 23Mutō Ruiko is a long-time antinuclear activist based in Fukushima and a key figure in the movement to hold TEPCO executives and government officials criminally liable. 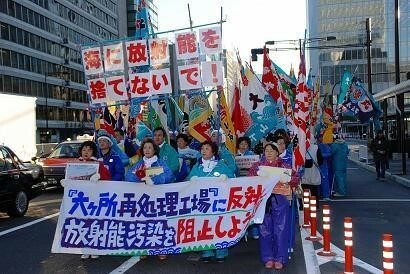 To understand the movement’s evolution from a group of “Complainants” to “Supporters of a Criminal Lawsuit,” see this video at the Fukushima genpatsu keiji soshō shiendan website. For Asia Pacific Journal pieces about Mutō, see Tomomi Yamaguchi’s essay from 2012, Katsuya Hirano’s interview from 2015, and Norma Field’s essay from 2016. 24Japan’s Basic Law of Education (kyōiku kihonhō) enacted in 1947 was amended under the leadership of Abe Shinzo in 2006 to de-emphasize equality and critical thinking and emphasize “patriotism.” For facts see Wikipedia. For analysis, see McNeill and Lebowitz. 25“Those who discriminate” can refer to school bullies calling Fukushima evacuees “radioactive,” or people who practice marriage discrimination against prospective partners who have been exposed, or those who exert social pressure on parents who speak openly about thyroid cancer. Norma Field provides an overview and a wealth of citations in her essay “From Fukushima: To Despair Properly, to Find the Next Step.” As Kamanaka notes here, however, the term “discrimination” (sabetsu) has also been appropriated by the pro-nuclear faction to silence those who speak out about radiation’s effects, on the grounds that they too are practicing sabetsu. 26All four “dispatches” (tsūshin) take the form of documentaries. The four-disc set is available from ILL and also from Kamanaka’s website. 27Kamanaka’s program about the German fantasy and children’s book author Michael Ende (1929-1995) aired on NHK in May 1999. A book version by Kamanaka’s production company Group Gendai and NHK producer Kawamura Atsunori was published in 2000 by NHK Press. It remains in print in a bunko edition by Kodansha. In the wake of Fukushima, Tomonobu Narita is at the forefront of a movement to withdraw money from banks that back environmentally harmful energy projects. YOKOHAMA, Japan — Buddhist priest Tomonobu Narita admits he hadn’t thought much about energy policy until the Fukushima nuclear meltdown forced tens of thousands of people to flee their homes in 2011. 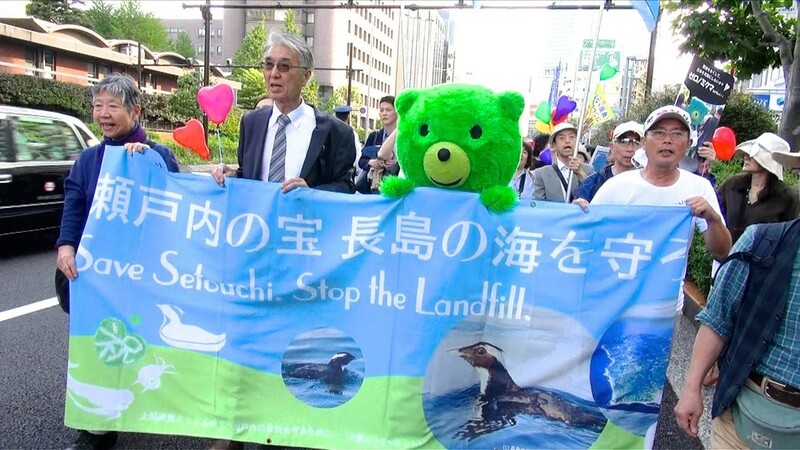 Now he’s at the forefront of a budding movement in Japan to withdraw money from banks that provide finance for environmentally harmful energy projects. “I was taught about the idea of how changing your bank account can contribute to bettering the environment, and that was an enlightenment for me,” said Narita, the third-generation head priest of a temple in Yokohama, south of Tokyo. The campaign to “divest” from fossil fuels such as coal has gained traction in the United States, Europe and Australia in recent years, but environmental activists are now targeting Japan. They see the country as crucial to the success of international efforts to address climate change. On top of fossil fuels — which release greenhouse gases into the atmosphere when burned, contributing to global warming — campaigners here are working to oppose nuclear power. While advocates of nuclear power say it can provide carbon emissions-free energy, critics say the overall dangers are too high. 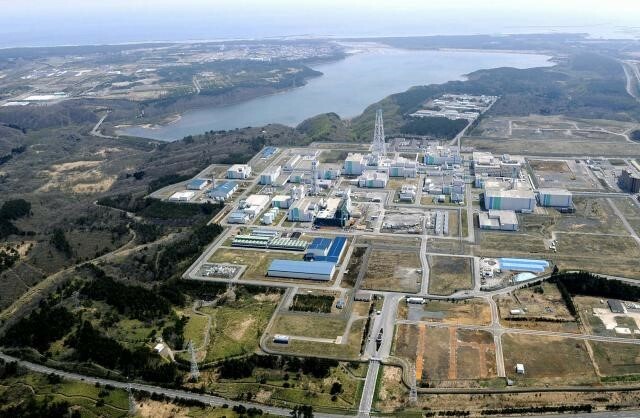 Residents are still barred from returning to some of the towns closest to the Fukushima Daiichi nuclear power station, where three reactor meltdowns occurred after the March 2011 earthquake and tsunami disaster. Most of the country’s nuclear plants remain offline amid safety checks and legal challenges. Driven by concern about nuclear power, Narita recently shifted some of his temple’s funds to a financial firm that is rated as one of Japan’s 45 “earth-friendly” banks. This means the bank is not known to provide finance for the fossil fuel and nuclear sectors. Tomonobu Narita is the head priest of Totsuka Zenryo Temple in Yokohama, Japan. “That small action when combined [with the actions of others] leads to a bigger effect, so I hope for divestment to have that kind of spread in Japan,” he said during an interview at Totsuka Zenryo Temple. In the next room, about 100 people gathered to hear from the veteran American climate campaigner Bill McKibben, who co-founded the global divestment and climate action movement known as 350.org and has organized rallies around the world. McKibben described being jolted into action by a visit to Bangladesh more than a decade ago when he saw people die from dengue — a mosquito-borne viral illness that is projected to worsen in that country as the globe warms. McKibben said he viewed it as “very unfair” that Bangladesh would bear major impacts from climate change when it had not been the source of most of the world’s greenhouse gas emissions. “They’re suffering from a problem that they didn’t cause, a problem that we caused,” McKibben said. “And so, when I went back to the United States, I decided that the time had come to fight — in a good, nonviolent, Buddhist peaceful way,” he quipped to the temple crowd. Japan’s Mizuho provided an estimated $11.5 billion in loans to the world’s top coal-plant developers from January 2014 to September 2017, according to analysis published by BankTrack, a pro-renewable energy network. That led to Mizuho being assessed as the most prolific lender in that category, followed by another Japanese financial group, MUFG, in second place, while Sumitomo Mitsui Banking Corporation came in at fifth. These banks have signaled that they are weighing their future lending criteria. Mizuho said on its website that it was currently discussing the “best due diligence methods” for reducing environmental and social risks, while MUFG told investors it would strengthen its focus on financing renewable energy. Still, the number of ordinary people in Japan actively divesting from fossil fuels remains small: Just 146 individuals have so far reported divestments worth 568.2 million yen ($5.1 million) since the campaign launched late last year, according to 350.org Japan. Takejiro Sueyoshi, a former senior banking executive who is now a special adviser to the United Nations Environment Program Finance Initiative, believes it will require strong government leadership for banks to take a more assertive step toward renewables. Japan’s target for renewables to make up 22 percent to 24 percent of its overall energy mix by 2030 is low, Kono said in a speech in January. He pointed out that such technology already accounts for about a quarter of the total global energy mix, and there had been a “dramatic decrease” in the price of renewables. “We have prioritized keeping the status quo for fear of change,” said Kono, whose climate advisory panel warned the following month that Japan was facing increasing scrutiny from other countries about its plans to build dozens of new coal-fired power plants. As the government and experts continue to debate the best way forward in terms of policy, campaigners will step up their efforts to build community momentum for change. Narita, the Buddhist priest, said he had not sought media attention for his decision to divest but simply wanted to do his part “to contribute to society.” The action is grounded in his beliefs. “Right now the greenery that we have, the earth, the soil — everything is a product of the things that people who have come before us have left behind, so we can’t just treat those things carelessly,” Narita said.